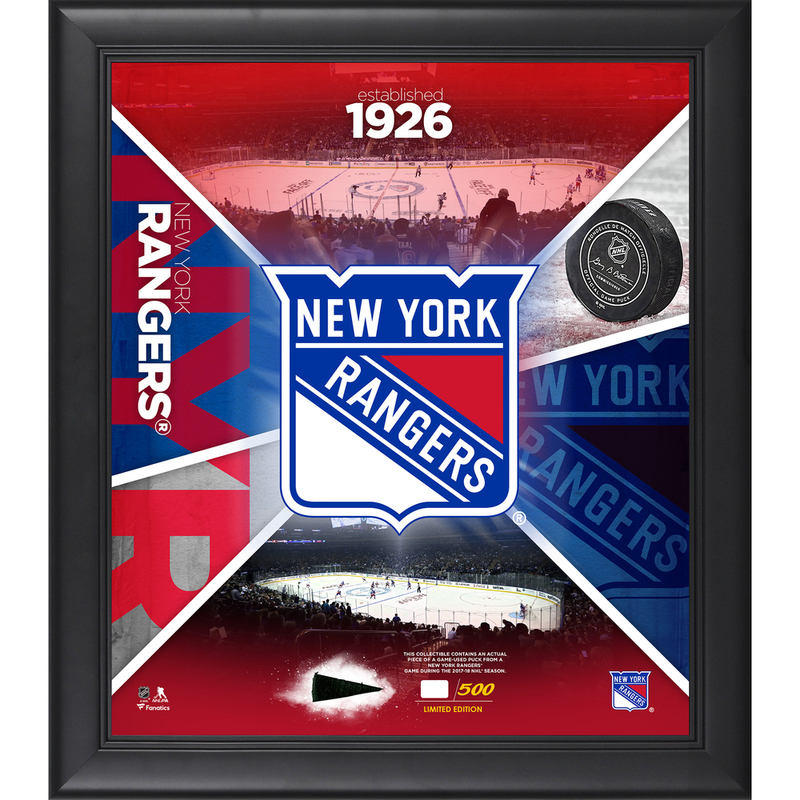 Each collectible comes with a collage of images and a piece of game used puck from a game during the 2017-18 season. It is officially licensed by the National Hockey League and comes with a statement of authenticity from Fanatics Authentic. It is framed in black wood and measures 15'' x 17'' x 1'' and comes ready to hang in any home or office. This is limited edition #1 of 500. 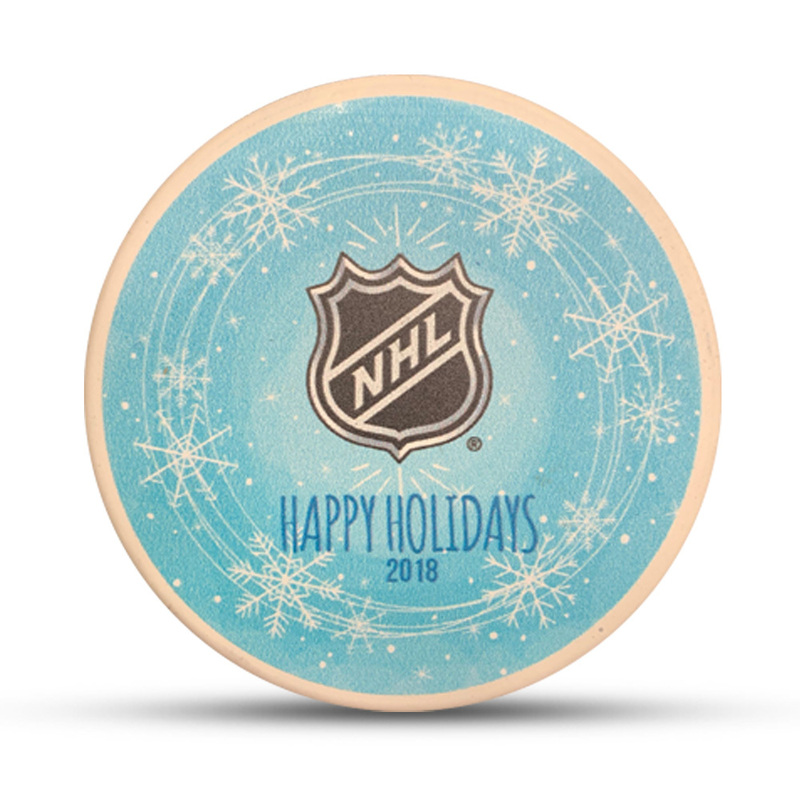 The winning bidder of this auction will receive a free 2018 Happy Holidays puck.